Halloween is less than 24 hours away and I needed a costume. 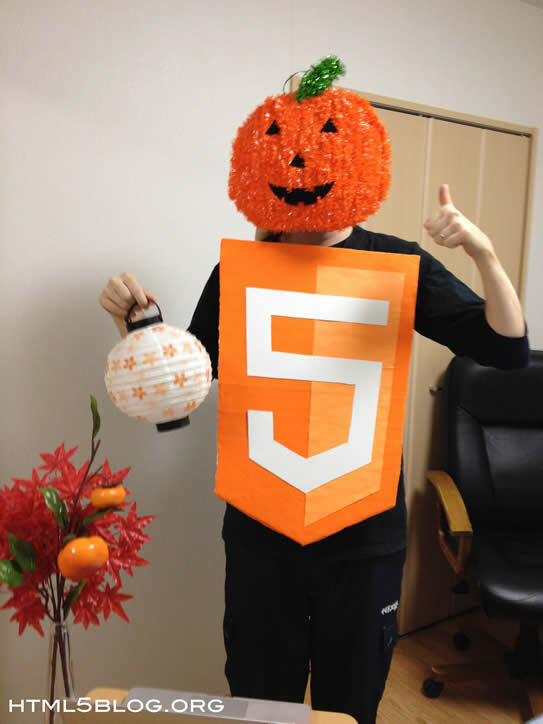 My first idea was to dress up as Edward Snowden and wear a sign that says “Save iGoogle!”. Then, I would have had my wife dress up as Vladimir Putin and wear a sign that says “What’s iGoogle?”. We could have been the most topical couple at the Halloween party. The only problem was getting my wife to go along with it. Go figure. My second Halloween costume idea is what you see in the pictures. 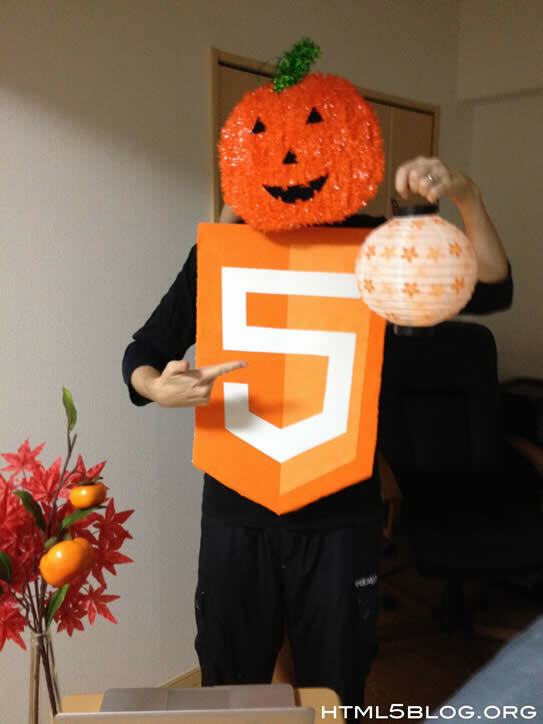 I am a happy HTML5 pumpkin head man with an extremely tiny desk. That is not a double entendre. 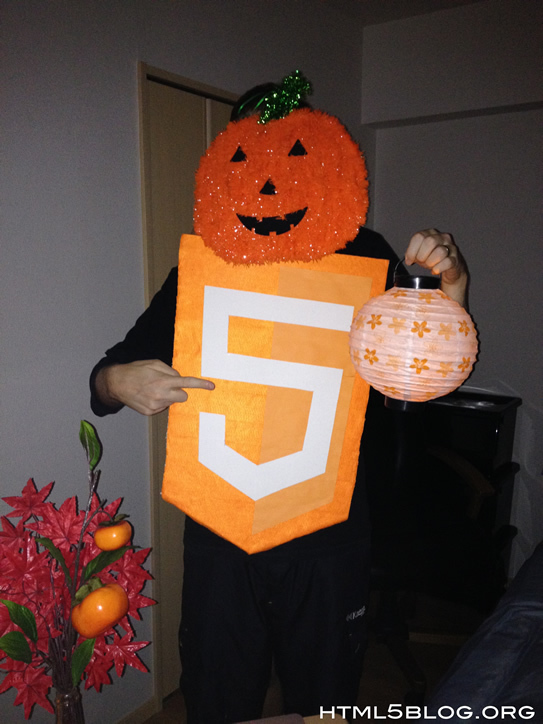 The HTML5 logo was handmade and took about the same time to make as the HTML5 chocolate cake. I liked the cake better. Everybody liked the cake better. In the pictures below I am holding a Japanese lantern. The lantern wields a power ring that can generate a variety of effects, sustained purely by the ring wearer’s imagination and strength of will…or it’s just a thing I got at the dollar store that matched. I am leaning towards the second thing. 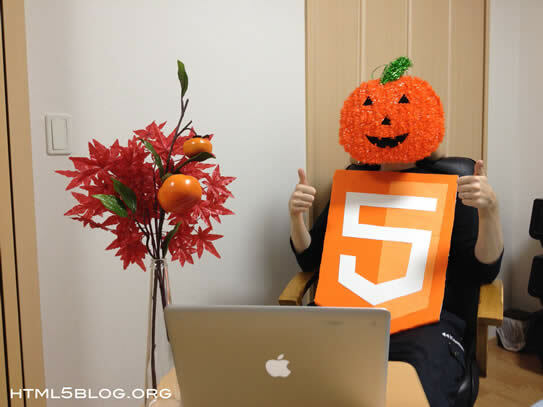 I hope everyone has a safe and pleasant Halloween wherever you are in the world!